Home>New Mixtapes>Gangsta Boo Mixtapes> Gangsta Boo & BeatKing Reunite For "Underground Cassette Tape Music Vol. 2"
Three 6 Mafia's influence is more prevalent than its ever been, but few artists have been able to do more with the tools of Memphis' most iconic group than BeatKing. Filtering the gritty lo-fi beats of early Juicy J and DJ Paul through the club, the Houston rapper and producer has created a sound unique to his city, but in 2014, he came full circle when he found a perfect collaborator in Three 6's own Gangsta Boo. Aptly titled Underground Cassette Music, the project sounds simultaneously like the past and the future in 2014. Four years later, the two artists have reunited for Underground Cassette Music Vol. 2, an impossibly heavy, devilishly fun release that arrives not-so-accidentally in the month of October. Like the first installment, it brings elements of both artists' cities, and finds them feeding off one another's energy in a way that separates it from their respective solo material. Listen to the original Underground Cassette Music here. BeatKing recently produced Gangsta Boo's "Where Dem Dollas At" remix with Asian Doll and Cuban Doll. He released his Stripper Friends tape in January. 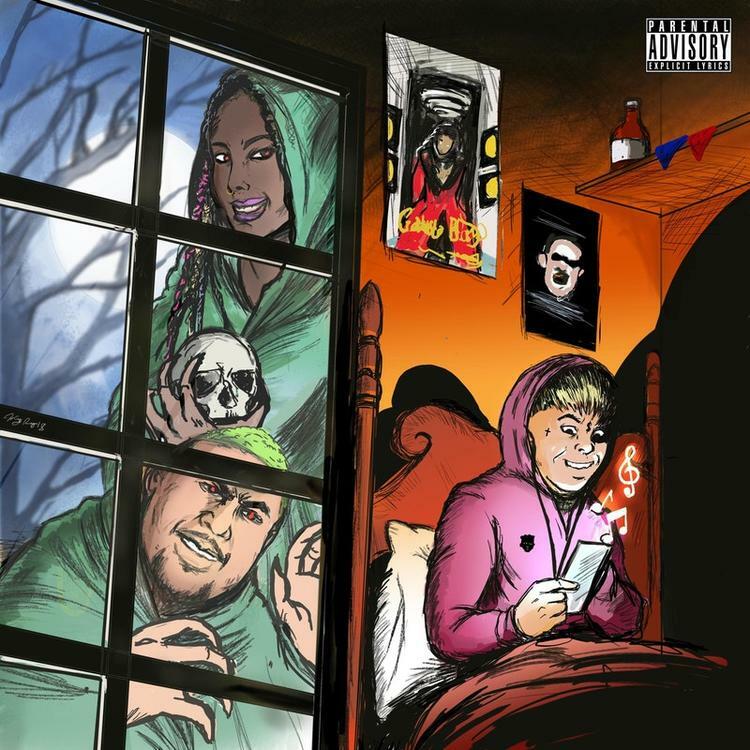 Gangsta Boo released her Candy, Diamonds & Pills tape in 2015. Read our 2015 conversation with BeatKing here. MIXTAPES Gangsta Boo & BeatKing Reunite For "Underground Cassette Tape Music Vol. 2"